You might think chimpanzees are monkeys, but they belong to the ape family. They’re related to gorillas, orangutans and us! That’s right – we are related to chimpanzees. Chimpanzees live in 20 countries in Africa. They live in a variety of habitats, such as forests, woodland areas and dry savannahs. Chimpanzees Belong to Apes Family. Read on to find out more all about chimpanzees. Chimpanzees are among the most intelligent animals on earth. They use tools to catch food. They use sticks to find termites and rocks to crack open nuts. They can learn new things. They can even play computer games! Chimpanzees communicate with each other by panting, barking or drumming. They also use gestures and facial expressions. Boy chimpanzees stay in one group their whole lives. Females join a new group when they grow up. Sometimes male chimpanzees fight with each other. All About Chimpanzees: Chimps sleep in nests. 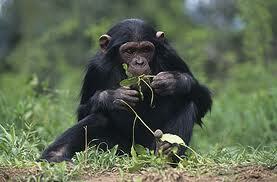 Chimpanzees eat fruit and plants, but they also hunt. They eat lizards, frogs and even small monkeys. Chimps are endangered. People cut down trees in their habitat. The chimps have no place to go. Chimps chew leaves to make sponges. Chimps groom each other. This is one way to show friendship. They comb and pull dirt and bugs out of each other’s fur. 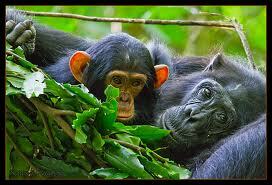 Chimps sleep in nests made of leaves. They have babies in these nests too. Chimps chew up leaves to make sponges. They sop up water with the sponges to drink. 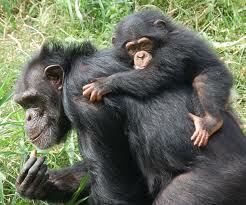 Chimpanzee mothers carry their babies on their back for 4 years or more. They remain close their whole lives. A video of a chimpanzee feeding baby tigers through a feeding bottle. Question: How do chimps communicate with each other? Answer: They make loud hoots, screeches and calls. Some sounds can be heard a mile away. Now that’s a noisy neighbor! Question: How long do chimps live? Answer: Around 50 years. But, humans are cutting down the forests they live in and they are dying sooner. Chimps can also catch the same diseases as humans. Question: Where do chimps sleep at night? Answer: They quickly make nests in the tops of trees by bending down branches and leaves. They get up early in the morning to look for fruit. 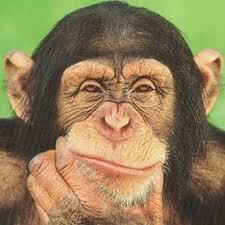 Enjoyed the Easy Science for Kids Website all about Chimpanzees info? Take the FREE & fun all about Chimpanzees quiz and download FREE Chimpanzees worksheet for kids. For lengthy info click here.